As we struggle to make sense of our world and survive in leaner times, we sometimes long for the peace and stability that seems mired in the past. But historically, was the past really all that great? Perhaps we need only to look inside ourselves to see the changes we yearn for in this here and now. What if we dreamed a better world of peace, joy, and abundance? Science and seekers have long known that we create our realities to a large extent by our thoughts and emotions. What we focus on intently gives rise to emotions that anchor the thought, which puts it into the cycle of manifestation. So if we don’t like what we’ve created, perhaps we need a better thought, a better dream, a healthier energy. Everyone has access to universal life force energy. Our bodies are surrounded and permeated with it. We were born with it. Without it, we would simply not be alive. When it’s clear and flowing, we are healthy. When it’s blocked or distorted, we are not. We all have the innate ability to change the flow and properties of our energy fields to affect better health and change the quality of our lives. Some of us just naturally know how to do this; but most of us, in this stage of our human development, can learn to do it by studying a healing modality such as Reiki. Reiki (ray-kee) is an ancient Japanese healing technique that has steadily grown in the west since the 1940’s. Reiki means Universal life force energy or God-directed healing energy. It is a very gentle but powerful laying on of hands that helps the receiver to relax, reduce stress, and clear the blocks or distortions in their energy field that cause disease: mentally, emotionally, physically or spiritually. Reiki does this by balancing a person’s entire system which then helps the system to heal itself. Currently, there are well over 100 styles of Reiki being practiced on the planet, with various additions, flourishes or changes made by people since Reiki was first rediscovered by Dr. Mikao Usui of Japan in the 1920’s. Not all of those systems resemble the original intent or form. But widely accepted guidelines have been drawn for what constitutes a legitimate system of Reiki healing: a) the ability to do the healing comes from a specific initiation process, not something one does on her/his own; b) the healing system follows a lineage of practitioners that go back to the original founder; c) the healing energy comes from the Higher power, not one’s own; and d) the healing energy can do no harm. Holy Fire Reiki is a new form of Reiki that was introduced by the International Center for Reiki Training in January of 2014 and now taught by Know Thyself Healing Center. It is both powerful and gentle and provides purification, healing, empowerment and guidance. It is included as part of our Usui Reiki classes and has been added to Karuna Reiki© training. During a Reiki session, whether you are laying hands on yourself or others, Universal life force energy is received into and through the practitioner and is directed out of the hands. As Reiki balances a person’s system, energetic blockages, distortions, or areas in the physical and etheric bodies that need healing are more easily cleared. In one way or another, Reiki helps dispel negative energy and restore the flow of positive energy, thus allowing the receiver to heal herself. Reiki provides new light, love and information to a situation that is stuck in the bodies. It is well known that our minds are the great makers of dis-ease. What we think on a daily basis creates the energy that resides in the mental part of our human energy field. If our thoughts about any given situation are negative, they naturally give rise to negative emotions, which reside in the emotional part of our field. If we do not process these negative thoughts and emotions by gaining a greater understanding or acceptance of them or letting them go, they may eventually “solidify” as blockages or distortions in the flow of energy that keeps us healthy. Obviously, the key to maintaining good health is to keep our energies clear and free flowing. Reiki can help us do that. Reiki has been known to heal every form of illness there is. However, it is important to understand human nature as we practice free will to accept or negate our own healing. As such, we create our own well-being or ill-being largely through choice. We may not see the physical, mental, emotional, or spiritual predicaments we find ourselves in as our personal choice, yet if extrapolated far enough, the evidence becomes clear that we’ve willingly accepted or refused to use the gifts and/or handicaps we’ve been born with for our best outcomes. So, healing from a Reiki session is not a guarantee. Reiki works in concert with one’s intention, attention, and manifesting action (thoughts, words, deeds). It is subtle energy that is always beneficial and never does harm. At one end of the spectrum, it may merely provide the relaxation one needs to clear the hurdles of the moment or day. On the other end, it may help create the miracle that most of us hope for. The key is to let go of that which no longer serves us and to feel genuine gratitude by accepting the process of healing that is exactly right for us in this moment of time. With the proper initiations, Reiki can be applied to oneself (a wonderful gift to yourself! ), other people, animals, personal or world situations, the Earth, environment, universe, other dimensions, past, present, or future, locally or at a distance. The sky is no limit. Who Can Learn Reiki? A person does not learn Reiki through long years of study, fasting, meditation or special spiritual practices or by achieving high levels of enlightenment. The ability to channel Reiki energy is simply passed on from teacher to student through a specific initiation or attunement process during an in-person Reiki class taught by a qualified Reiki Master. As soon as the initiation takes place, the student is able to channel an unlimited supply of universal life force energy. So Reiki is easy to learn by anyone who takes a Reiki class and is initiated. Reiki does not follow the arduous practices of many other healing modalities. Rather, it is transferred to the student by the Reiki Master during the initiation process. The initiation is a life-time connection that cannot be undone, regardless of whether the student continues to practice Reiki or not. But if they decide to no longer use Reiki, they simply stop practicing. The initiation process is a deeply personal, profoundly healing experience that awakens the student to the wisdom and love of the Higher Power. Thereafter, the development of skills and sensitivities to the application of this healing system is up to the individual practitioner through intention and daily practice. Anyone can learn to channel Reiki healing energy. It is not necessary to have meditated for years or to have become a mystic on a mountain. Reiki is easily learned by taking a class and receiving the initiations/attunements from a Reiki Master teacher. However, it is important to note that not all Reiki classes are created equal. Some Reiki classes are very short and superficial, with the expectation that the student will study and practice the material and techniques on her own; while others are much more comprehensive with full instruction and hands on practice; and still others are anywhere outside or in between. 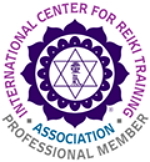 Internet or distant attunements are not recommended or recognized as valid by the international Reiki federations. Before one signs up for a class, it is important to find out at least three things: 1. Who is the teacher (i.e. their experience practicing and teaching Reiki, the style of Reiki, their lineage)? 2. What does the class include (i.e. system, orientation, content, hours of instruction and hands-on practice, manual, certificate)? In other words, what experience, knowledge and skills will you have when the class is over? 3. Energetically, what feels right for me? Reiki is generally taught at three levels: Reiki I, Reiki II, Reiki III (Master level), although some systems, like the one I teach, split the Reiki III level into two parts, a 1-day Advanced Reiki Training (ART) and a 2-day Master class, most often taught as a three-day class. Reiki is not ordinary life force energy. Rather, it is a very specific healing energy that only comes through a practitioner who has been prepared through an attunement or initiation process by a qualified Reiki Master during an in-person class. Anyone can practice Reiki successfully by taking a class and receiving the level of initiations given in that class. An initiation is a sacred process that creates openings and adjustments in the student’s energy field that permanently connects the student with the unlimited Source of higher frequency energies that can then be applied to oneself or others. In Holy Fire II classes, as taught by Know Thyself Healing Center, the initiation process is done directly by Holy Spirit rather than the Reiki Master Teacher, so they are called Placements or Ignitions, depending on the class level being taught. Reiki I should provide a solid overview of the origin and history of Reiki, the nature of Reiki energy, what causes sickness, what Reiki is and how it heals; discussion of the Human Energy Field, Gassho meditation, the complete hand placement system, and Japanese healing techniques; and must include the Reiki I Placements (attunements) and hands on practice for healing self and others. Students should be able to feel the flow of energy. 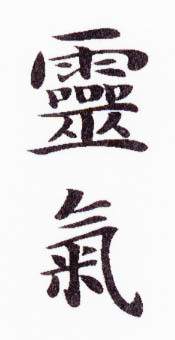 Reiki II should provide a thorough understanding of three Reiki healing symbols, their meaning, their frequencies, and their uses; additional Japanese healing techniques and meditations that balance and clear the energy channels and connect them to the unlimited flow of Reiki energy; and must include the Reiki II Placement and hands on practice using all symbols and distant healing. Students try to discern the different feel of each symbol’s energy as it flows through them. Reiki III should prepare the Reiki practitioner to do the work of a Master practitioner and teacher. Those who want advanced training and Placement, and the use of the powerful Master Symbol, but do not wish to teach Reiki, may take Advanced Reiki Training (ART) alone. Those who want to teach will go on to Reiki Master) training to learn how to give each of the Placements and Holy Fire ignitions for the appropriate levels to their future students. They are also oriented to becoming a true Reiki Master. Most students will take the full ART/Master class for the greatest benefit to their self-development and practice. Holy Fire Karuna Reiki should prepare the Reiki Master for the truly compassionate action that the word Karuna embodies. Instruction includes practitioner and Master Ignitions and the use of eight Karuna symbols and two Master symbols for profoundly deeper healing on the emotional, mental and spiritual levels. Holy Fire Reiki Master class is prerequisite. Each of us has the power to heal ourselves and others. We have only to set our intention, give it our focused attention, and then put it into action. Along the way, we get a little help from our friends. Reiki can help. We can dare to be the dreamer, we can choose to lift up our vibrations, and we can act to transform the world we live in. We really are the ones we’ve been waiting for — so be the change, right here, right now. For more information on Reiki, to set an appointment for a session or to register for a Reiki class, Contact Us!